This month’s feature article addresses the issue of people believing things that aren’t true. Here is a good example. But first, lest there be any confusion, in the context of the article below, the word “environmentalist” has nothing to do with global warming. In psychological circles, an environmentalist is one who believes that human behavior is shaped by the cultural environment (that is, society) rather than by genetics. 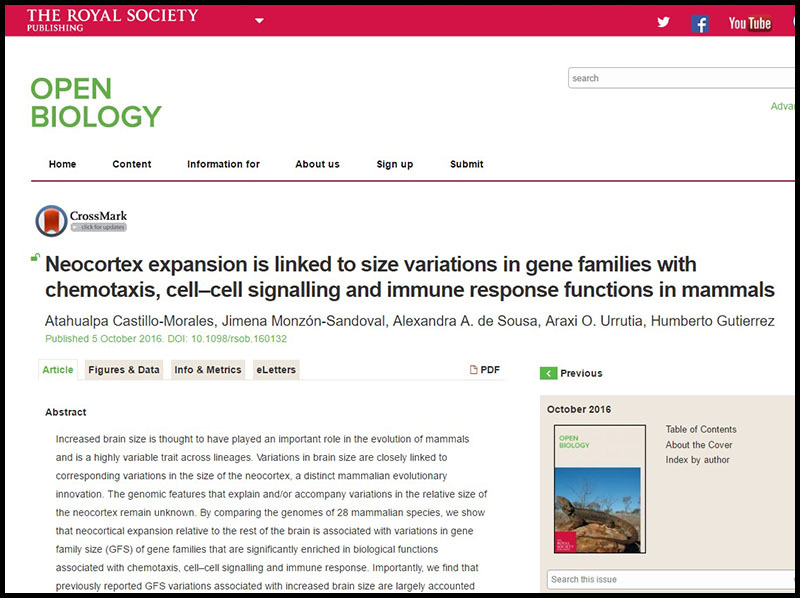 Two scientific studies have definitively confirmed that genes determine brain size and intelligence—and that these are inherited traits, unaffected by environment. What all these studies put together means is that brain size, intelligence, and cognitive ability vary from race to race, and are inherited and unaffected by environment. In other words, the article claims that since the brains of blacks are 4% smaller than whites, they are just naturally dumber, more likely to commit crimes, and genetically doomed to poverty. Dr. Rushton believes there is a connection between race, evolution and behavior, and the anonymous staff writer for The New Observer thinks that a study in Molecular Psychiatry proves him right. Why would the The New Observer staff writer think that? 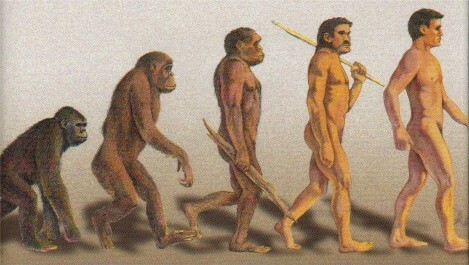 That writer probably saw this evolutionary diagram in school. As man evolved, he got whiter, and his brain got bigger. This picture not-so-subtly suggests that black people are less highly evolved than white people, so they must be dumber and less civilized. 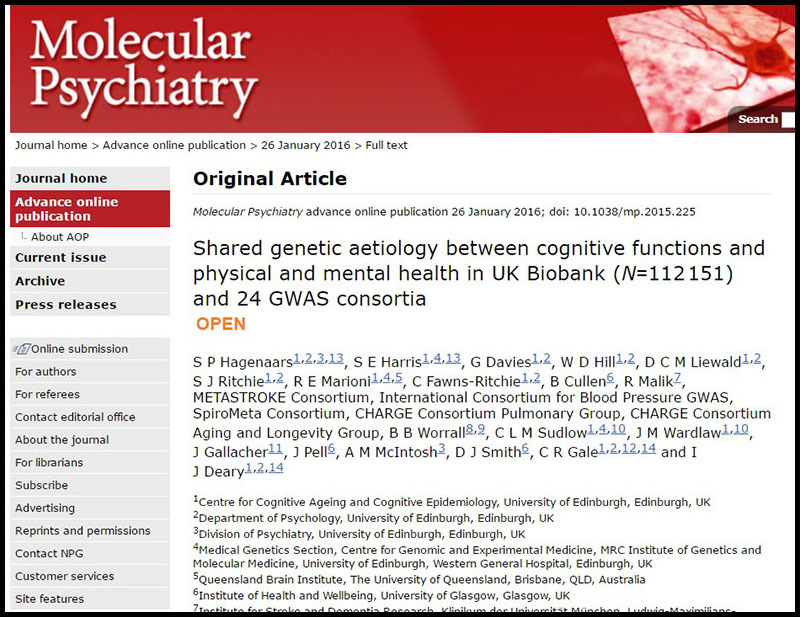 As proof, the The New Observer shows this screen shot of the article in Molecular Psychiatry. By definition, correlation factors range from +1 to -1. Zero means there is no correlation whatsoever. If you tried to correlate winning lottery numbers with daily temperatures, the correlation should be exactly zero; but in practice it will probably just be very small due to some random variation. The correlation factors are nearly zero, so the reasonable conclusion is that if there is any correlation, it is negligible. In other words, two different studies have shown that people who get a college degree are genetically disposed to be crazy! The second study The New Observer cited came from Open Biology. Again, they included a screen shot of the beginning of the paper to create the appearance of credibility. Again, nothing new was learned. They just repeated the conventional, unsubstantiated speculation. In other words, the purpose of the study was to find genetic explanations for mental diseases in humans, and to examine the difference between human brains and mouse brains to see if studies on rats have any relevance to human mental diseases. Historically, the theory of evolution has been used to justify racism. Even today, some people still twist scientific studies to prove evolution is true to support their racist ideas. The views of The New Observer are a current example of this. Evolution doesn’t justify racism because the theory of evolution is false.